You don’t directly pay a commission when buying but there are some expenses in addition to your down payment. Below I’ll go through the costs incurred when buying a home but it’s important to clear up first, the commission is essentially paid by the seller. As a buyer, you will need to save money for your downpayment, property inspection, legal fees, property taxes and utilities and I’ll talk about each in more detail below. Your biggest expense when buying a home will be the down payment and the total amount will depend on the arrangements made with your mortgage broker through the pre-qualification process. Whether you’re using your bank for a mortgage or another lender it’s important to talk to them about qualifying to buy before you start your home search. Your lender will determine the amount you can spend and let you know how much you will need to save as a down payment. In Alberta, you generally have to have a minimum of 5% down payment. Another important cost to consider is a home inspection. A home inspection is optional but it’s recommended. An experienced home inspector knows what to look for and exactly where to look. A good home inspector will catch issues that could cost you money immediately upon move-in and down the road. In addition to finding issues that need to be repaired they will also point out areas were some preventive maintenance can save you money in the future. When hiring a home inspector prices can vary but don’t just focus on price and hire the least expensive company. Don’t only compare price, have them send a list services they include at the price they offer and compare. There are legal fees involved in a home purchase. Hiring a lawyer to complete the sale of your home is required in Alberta. Legal fees are paid to your lawyer when you pay your down payment etc. before closing and should range between $800 and $1400 dollars to include disbursements costs etc. As a home-owner, you will always have to pay property taxes. Property taxes will vary depending on what you are buying and where you are buying and they’ll reoccur yearly. You may combine your monthly tax bill with your mortgage payments (find out more from your mortgage broker) or pay it as a lump sum each year. The tax amount to consider when buying is how much the seller has already paid to the city or municipality. You will essentially be paying the seller back the amount they’ve already paid and it will be required at the same time you pay your down payment to the lawyer before closing. The amount owed will depend on the time of year and at what time of your the municipality collects and applies taxes. This amount will be calculated by your lawyer but your Realtor® should be able to give you an approximate amount based on the city/town your buying in and the current time of year. There are a few other smaller consideration when buying and they include insurance and utilities. You may already be paying utilities where you live and they can be transferred over to the new home you’ve purchased. If not you will have to set up accounts for water, sewer, garbage, gas and electric. Don’t forget to also have insurance on your new property. If you are borrowing money as a mortgage you lawyer will insist on seeing proof of insurance transferring ownership. Above includes the additional expensed you are faced with when buying. It’s very important to budget accordingly so there are no surprises. 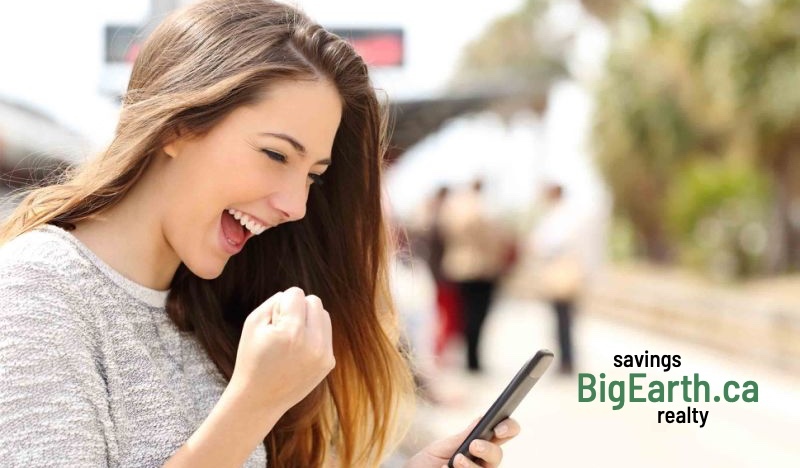 Extra expenses add up and that’s the reason Big Earth Realty reduces the burden by offering every buyer they help money back on move-in day. Below is what we offer buyers. Purchases between $100,000 and $249,999 will receive $1000 cash back. 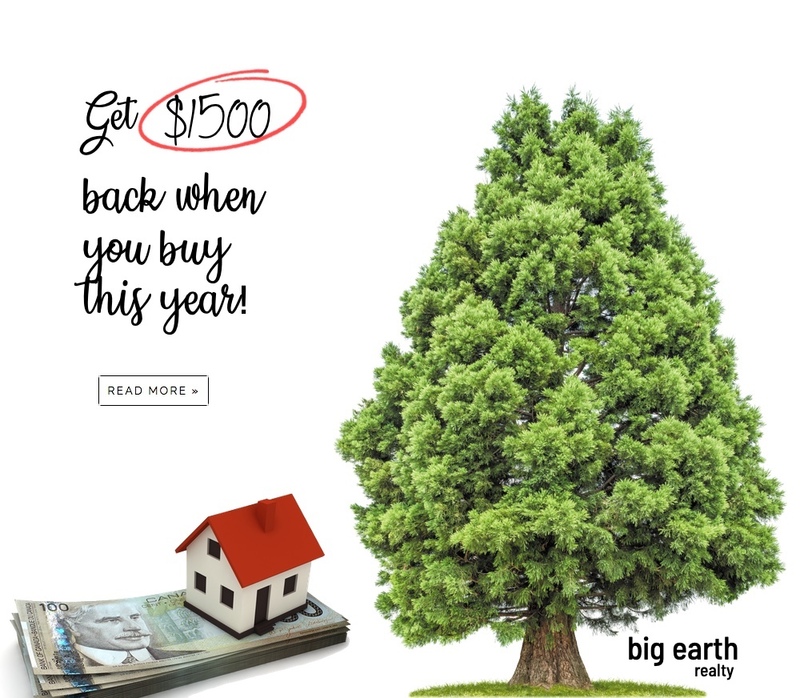 Purchases between $250,000 and $499,999 will receive $1500 cash back. Purchases over $500,00 will receive $2000 cash back. 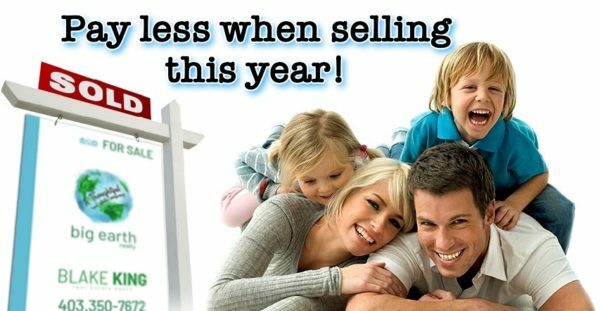 ← Red Deer’s newest real estate company offers some incredible deals to both buyer’s and seller’s!